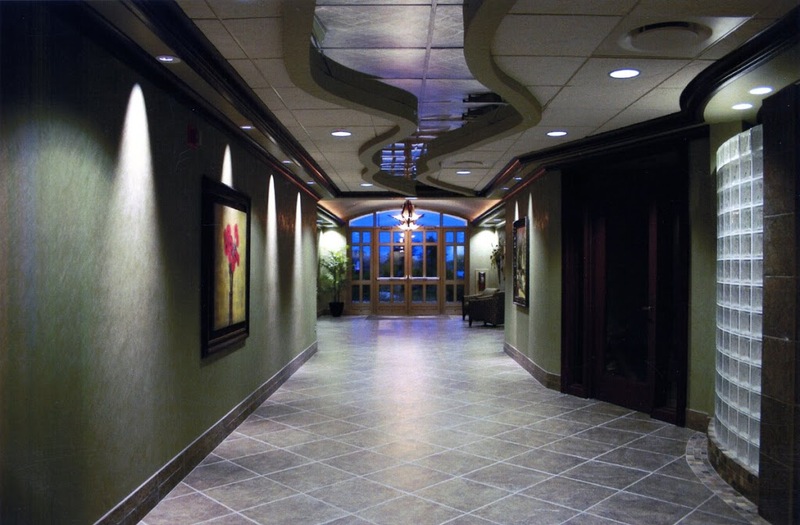 Bayview Professional Center – The 2006 Builder’s Exchange of Northwest Michigan Building of the Year, www.bayviewpc.com, showcases Design Strategies abilities to transform a busy commercial space into a welcoming work environment. 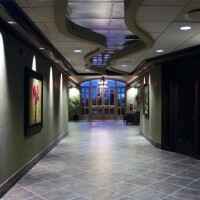 The complete makeover included dramatic resurfacing with a unique inlay of Michael Angelo marble, custom mirrored river ceiling, full glass entry doors, rich hardwood trim, faux finished elevator doors, high end wall papers and finishes and a complete makeover of the exterior and grounds. The design became the inspiration for the building’s logo. “Dorina has a creativity that is really outside of what I have routinely found in designers. She brings a unique balance and a lot of class. I was much more hands on at first until I began to trust her judgment and realized she was right.” – Kelly Miller, CEO, Miller & Miller, Inc.